Around 150 "fast food restaurants" were in business all over Pompeii prior to the legendary eruption of Mount Vesuvius that took place in 79 AD, killing over 2,000 people and burying the ancient city in volcanic ash. 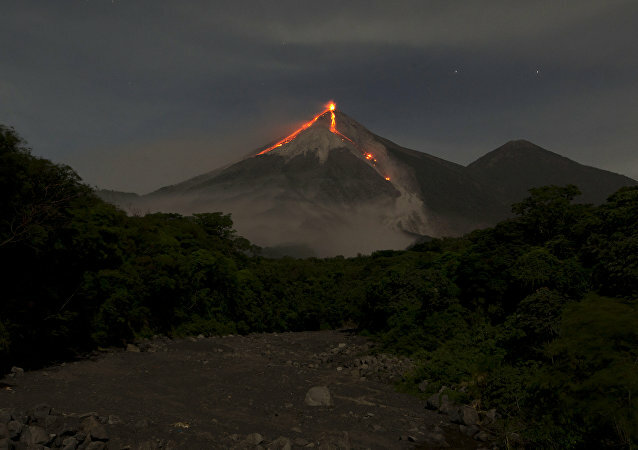 An eruption of the Mexican volcano Popocatepetl was recorded on the night of 26 March, sending lava and ashes a distance of some 2.5 kilometres away from the crater, over the municipality of Hueyepan in the central state of Morelos, the Civil Protection Unit reported on 27 March. Popocatepetl, which is located just 70 km (40 miles) from the Mexican capital, is the second highest peak in the country and also one of the most active volcanoes in the region. The person in charge of the study, however, did not say whether their research would help date the Exodus itself, noting only that “continued work to improve chronological frameworks is essential for the study of past civilisations”. The eruption caused massive tsunami waves at least 2 metres high taking the islands of Sumatra and Java by surprise, killing over 400 people and leaving around 40,000 homeless. 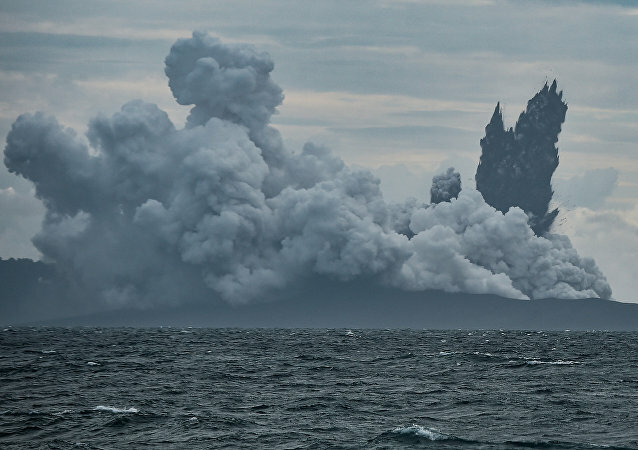 MOSCOW (Sputnik) - Indonesian authorities on Thursday raised the alert level for Anak Krakatoa volcano, which is situated in the Sunda Strait between Java and Sumatra, to the second-highest degree amid its growing activity, The Jakarta Post reported. 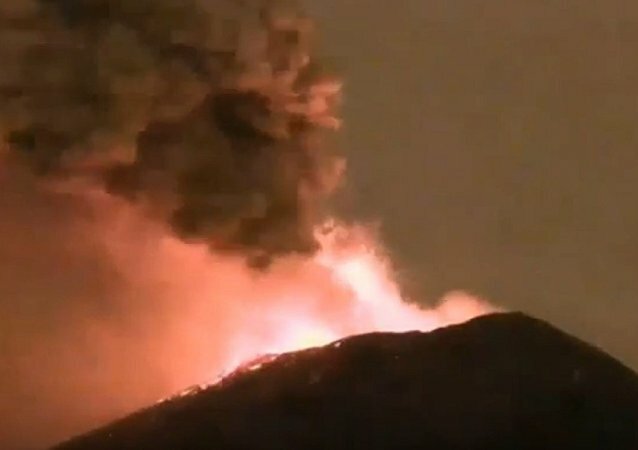 An earthquake on the island of Sicily has resulted in ash spewing out of the volcano Etna. A series of 130 aftershocks were recorded by Italian scientists on the morning of 24 December. 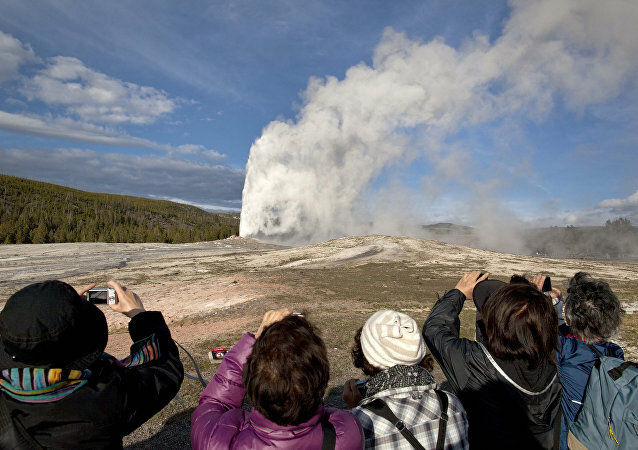 Eighteen volcanoes in the US have been identified as ‘very high’ risk, according to a recent US Geological Survey. 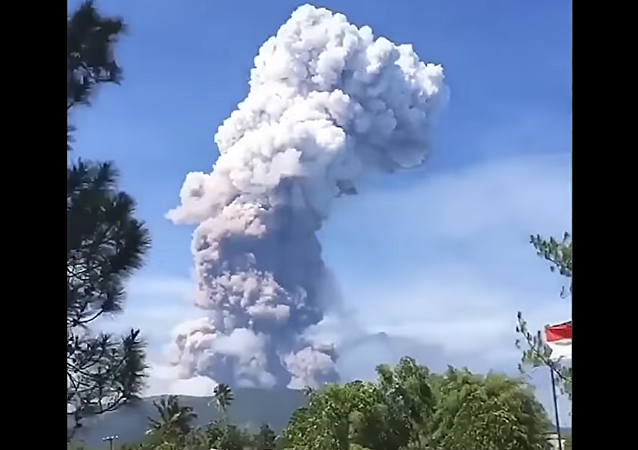 After managing to safely complete the risky walk, the hikers released a horrifying video online which displays a massive mushroom cloud that has emerged out of Ebeko volcano's crater. 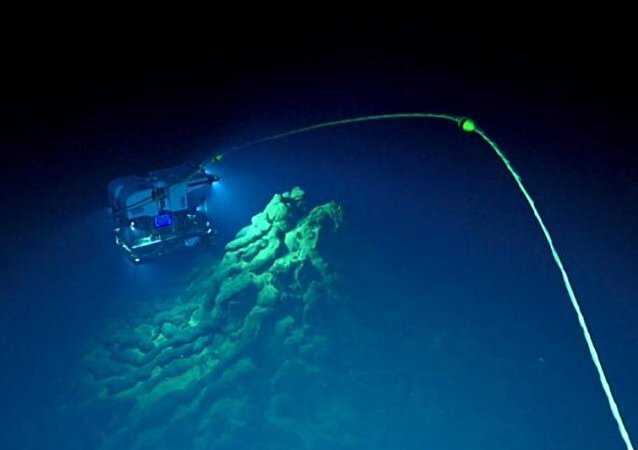 Underwater magma flows and blasts occurring on the sea floor were first sported in videos dating back to 2009 and were found to have taken place long before that year. However, a recent submarine discovery, made in 2016, refers to what had happened just months prior, and researchers cited evidence proving the suggested timeline is correct. MEXICO CITY (Sputnik) - A strong 5.8-magnitude earthquake struck Guatemala's southern Escuintla department on Friday in the wake of the eruption of the Fuego volcano that began earlier in the day, the national disaster agency CONRED said. While the volcano cooling venture may create a lucrative power-generating opportunity, it could also potentially cause a catastrophic eruption. 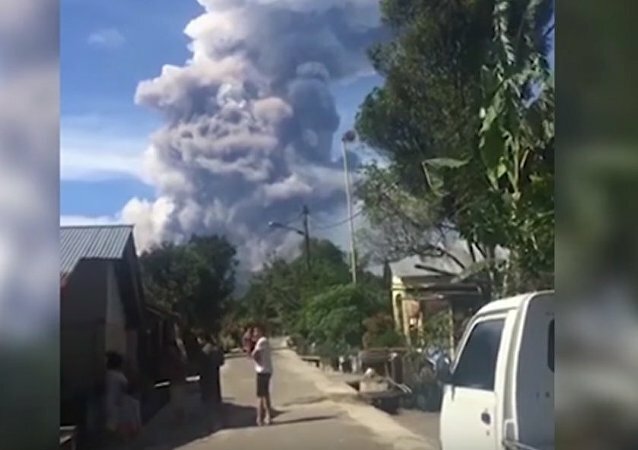 Only days after experiencing a devastating earthquake and tsunami that killed thousands, Indonesia’s Sulawesi saw one of its nine volcanoes erupt Wednesday, launching plumes of ash into the sky and lava flows down its sides - all this while everyday eruptions continue as usual. 'Boiler' Katla: May Giant Iceland Volcano Eruption Bring Europe to a Halt? Multiple media reports emerged that a new eruption of a volcanic cone in the immediate vicinity of the notorious Eyjafjallajokull has the potential to surpass the latter’s 2010 explosion, with its magma capacity estimated to be at least three times as great. However, one of the researchers weighed in saying the media largely "twisted her words." The Italian volcano Etna, which is the largest in Europe, spat out fountains of lava and ash, putting on a captivating show of fire, color and light. The ‘lava bomb’ that struck a tourist boat in Hawaii Monday was caught on camera, and footage has been uploaded to the internet.